The PRODEM range of Multi-Processors feature six interchangeable jaw sets mounted on a single base providing the efficiency of six tools in one body. 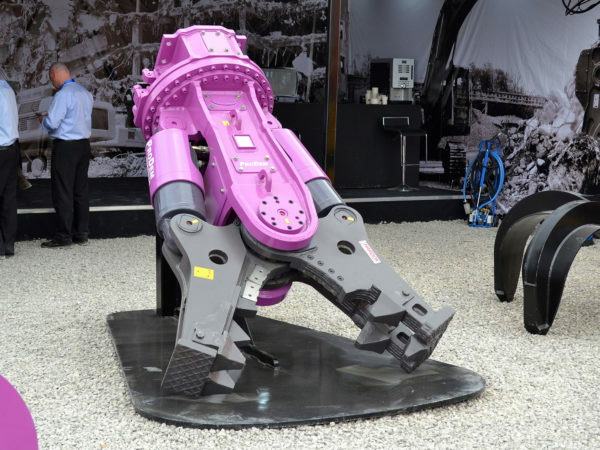 Specially designed and engineered for heavy steel applications the Mobile Shear Jaw boasts a bolt on piercing tip to increase performance and serviceability. The Universal Jaw Set can be used for concrete crushing and cutting steel together. Amount of work will be decreased by cutting materials as a fixed size. Specially designed and engineered for mixed concrete and steel applications including processing heavilty reinforced concrete structures and concrete encased I-Beam steel barrels. 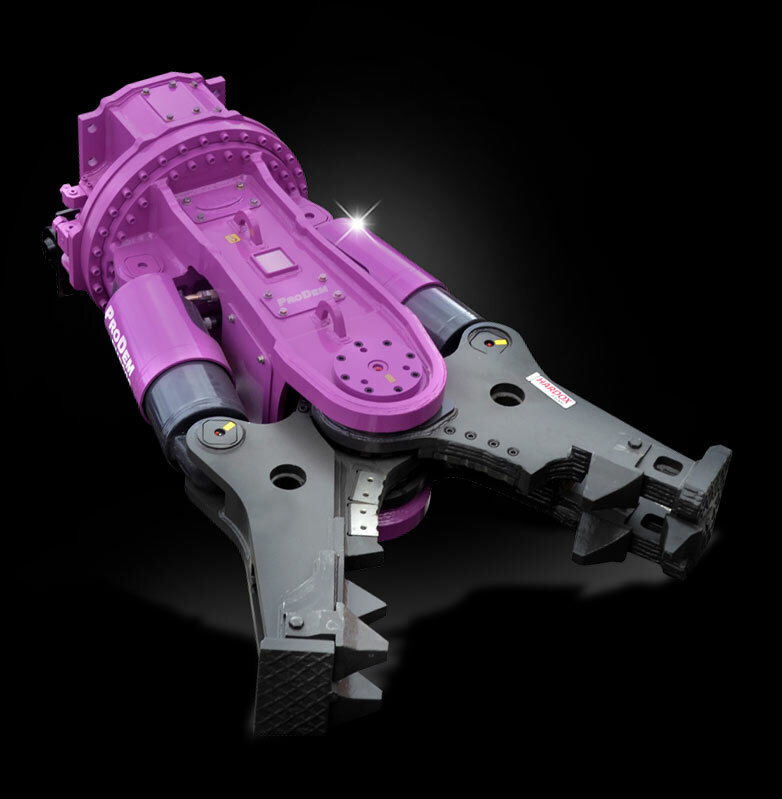 Combines the advantages of Shear Jaw Set and Concrete Jaw Set without the need to change jaws. For primary demolition operations – bringing down the main structure of a building. For secondary demolition operations – processing the demolished materials. Ideal for separating reinforcing bar from concrete for example. 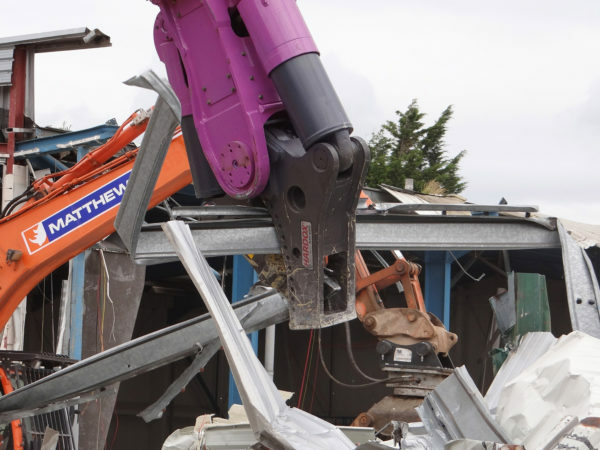 The Shear Jaw Set can be used on all industrial demolition sites for cutting materials such as section bars, pipes, tanks, railway carriages, etc.